Prosthetics and orthotics journal is an international journal devoted for rapid dissemination of significant data related to Prosthetics and orthotics. The journal is an interdisciplinary medium serving several branches of life sciences. Prosthetics and orthotics journal publishes original research articles, review articles, short communications, case reports, conference proceedings, opinion articles, editorials, mini reviews, clinical/medical images etc. Full length reviews are only published after invitation from the editorial board. 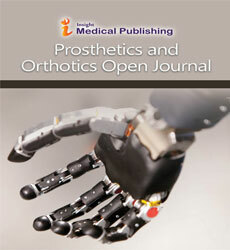 The basic interest of the journal is publishing new data related to the Prosthetics and orthotics. Preliminary studies are in appropriate for publishing in Prosthetics and orthotics journal, unless the authors report the significance of their findings, in that case, the manuscript can be accepted.